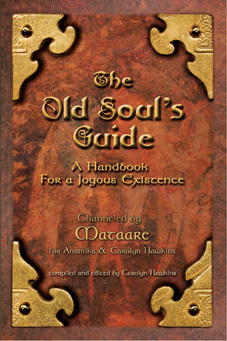 A delightfully inspiring, enlightening, and sometimes humorous compilation of channelings by the Guides in Spirit, who provide practical guidance to navigate one of the most desired, and often most challenging, areas of life. The problem inherent in attracting your twin flame or soul mate may lay in the fact that you do not really believe it is possible to be loved by another who would accept you as you are. How can you have that which your heart longs for if you do not think it is possible? 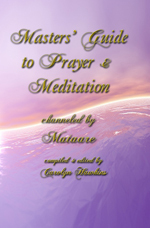 Masters’ Guide to Prayer and Meditation is an inspirational and instructional compilation of channelings by the Guides in Spirit, who demystify prayer and meditation with immense wisdom and exquisite gentleness, providing methods to survive more peacefully and successfully in the world. 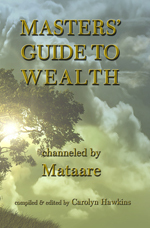 Masters’ Guide to Wealth is a powerful, concise guide for the creation and maintenance of wealth. Timeless words of wisdom and inspiration spoken by loving beings, who reside just beyond the veil of our ordinary awareness, provide comfort and reassurance that we are not alone and that guidance is always available. 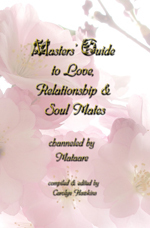 This book is topically arranged to be used as a quick reference tool for life’s dilemmas, as a daily meditation guide and for pleasure and inspiration. 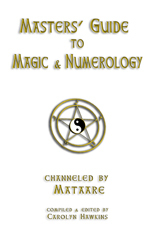 Masters' Guide to Magic and Numerology is a broad discussion of the principles of magic with step-by-step instructions for preparing and performing ceremony, and an explanation of the origins and uses of numerology, including instruction for the preparation of basic numerological charts. 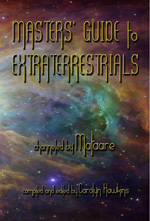 The lectures contained within this book are a one year course that was offered by the Guides in Spirit through Mataare. 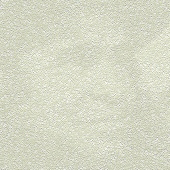 The lectures appear as close to their orgininal form as possible. 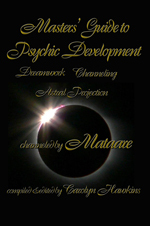 The Guides teach in a holographic manner, repeating many things and drawing in new things so that a picture begins to form in your mind and increasingly expands. 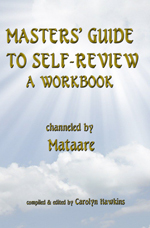 Each lecture builds on the previous lecture to guide you through the process of a thorough self-review. The self-review is intense, deeply personal and extremely empowering. 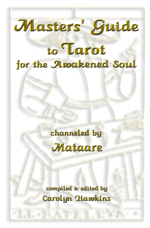 It is strongly recommended that prior to embarking upon this journey of self-discovery, you have a regular daily meditation practice, therefore Masters’ Guide to Prayer and Meditation is suggested as a prerequitsite to this book.